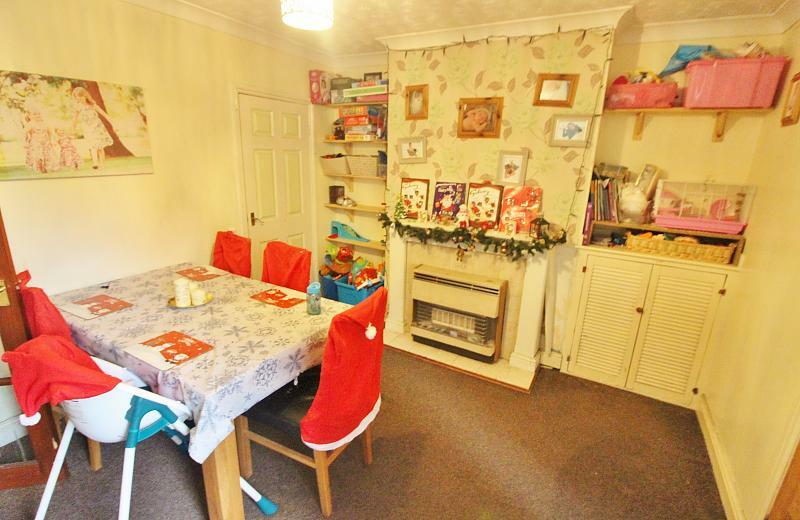 A three bedroom end of terrace home conveniently situated in this North Lowestoft location, being within walking distance of all local amenities including nearby shops, schools and Lowestoft train station providing direct access to Ipswich Town & Norwich City Centre. 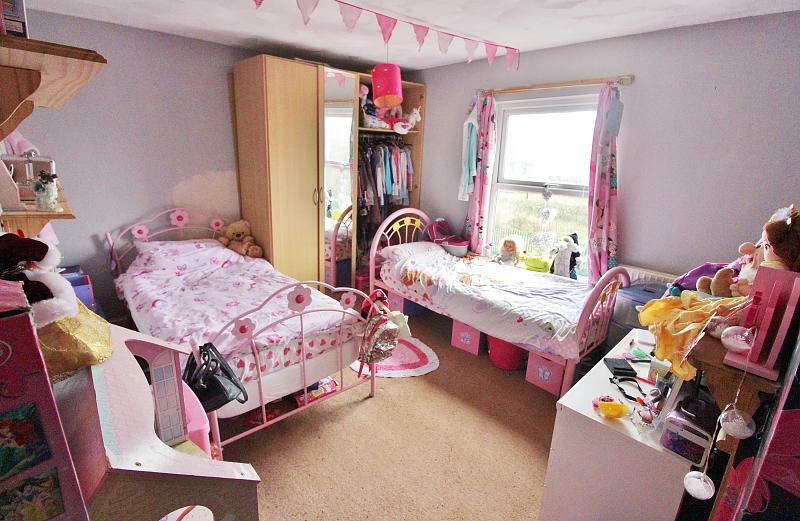 The property is currently let to a tenant who has been in situ for over 10 years and achieves a rental yield of 5.2%. 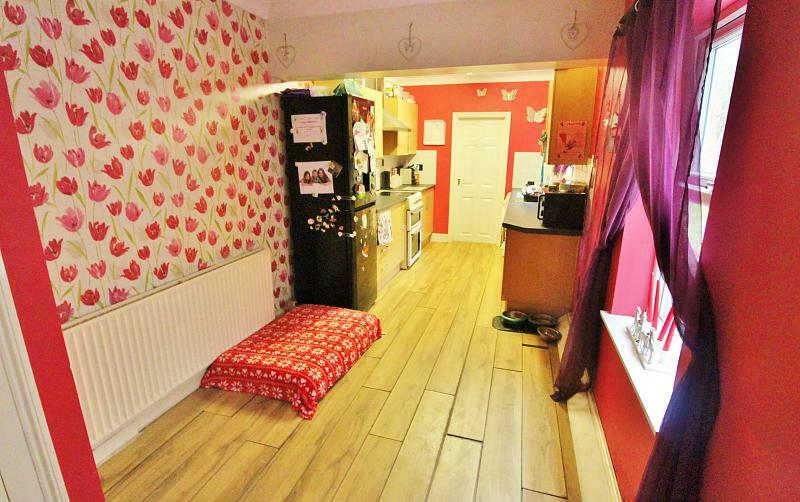 The versatile living accommodation includes a bay fronted lounge, separate dining room, larger than average kitchen/breakfast room, ground floor bathroom and to the first floor there are three double bedrooms. 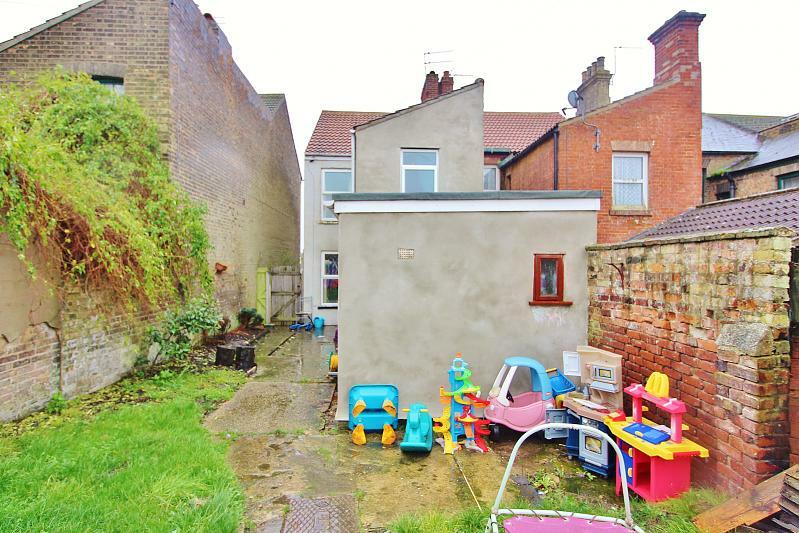 Outside there is an excellent sized rear garden with the potential of inserting off-road parking if required. 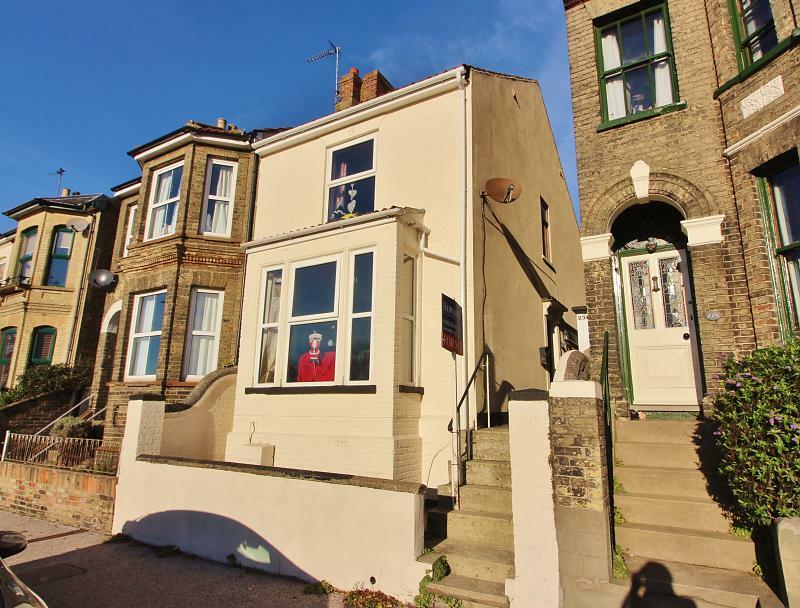 The property benefits from uPVC double glazing, gas fired central heating, fitted floor coverings and a generous size to all rooms. 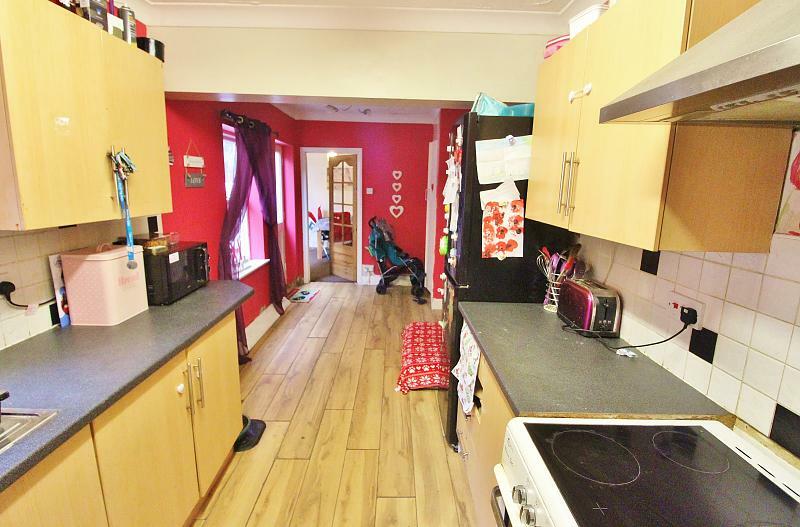 Offered with no onward chain and boasting such an excellent investment opportunity, an early inspection is highly recommended to avoid any disappointment. 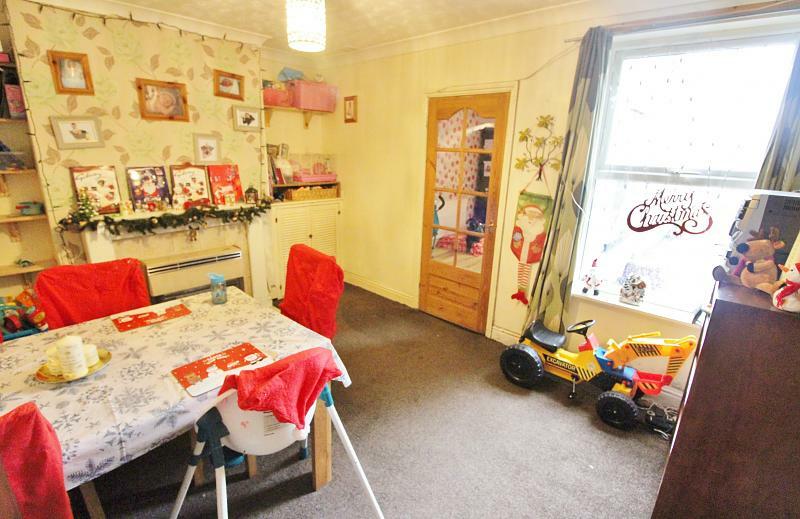 With carpet, carpeted stairs to first floor, doors leading off. 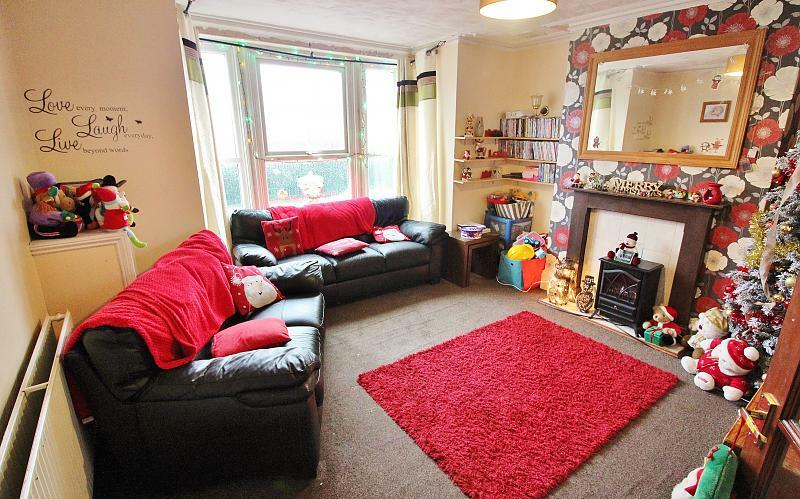 With carpet, power points, tv point, bay fronted uPVC double glazed, tiled fireplace with matching hearth and wooden surround and mantle, radiator. With a range of matching wall mounted and base units, roll top work surfaces, stainless steel sink with handc taps, recess for electric and gas cooker with fitted extractor hood over, recess and plumbing for automatic washing machine, tiled splash backs, wood effect laminate flooring, uPVC double glazed window, wooden glazed door to rear, ample dining space, built in storage cupboard. 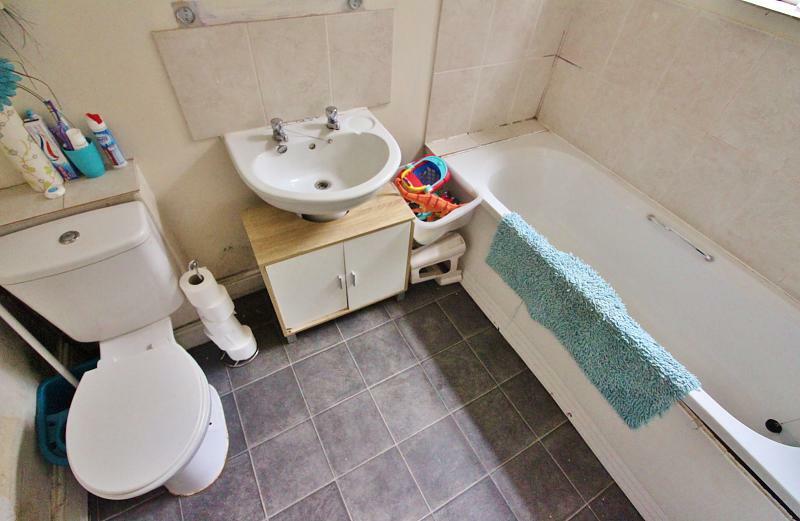 A bathroom suite comprising of a low level wc, pedestal wash basin with handc taps and base unit below, panelled bath with handc taps, tiled splash backs, uPVC double glazed window, radiator, tile effect vinyl flooring. 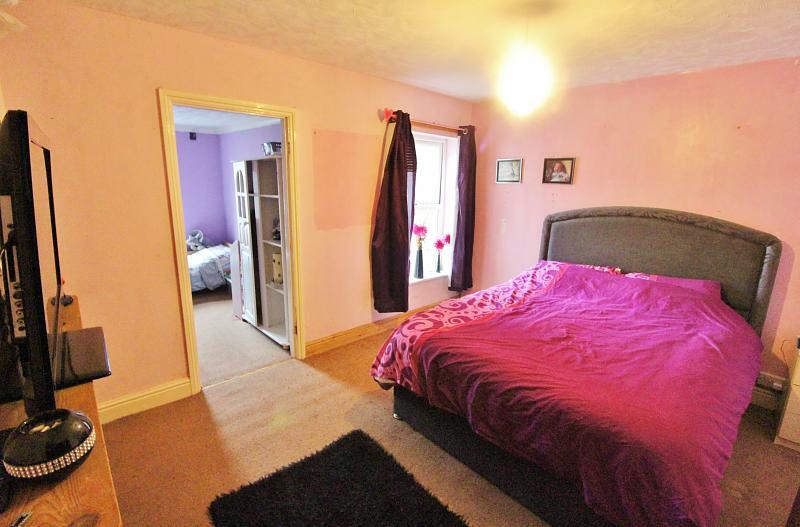 With carpet, doors leading off. 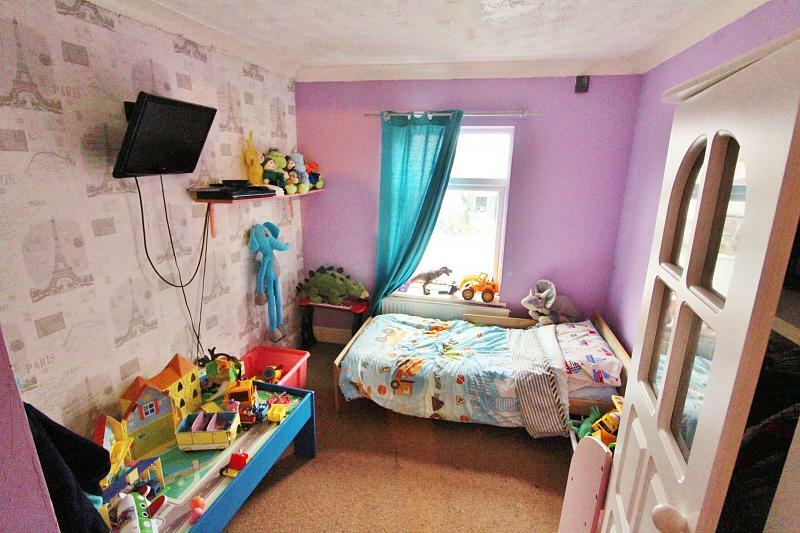 With carpet, power points, radiator, uPVC double glazed window, built in wardrobe. 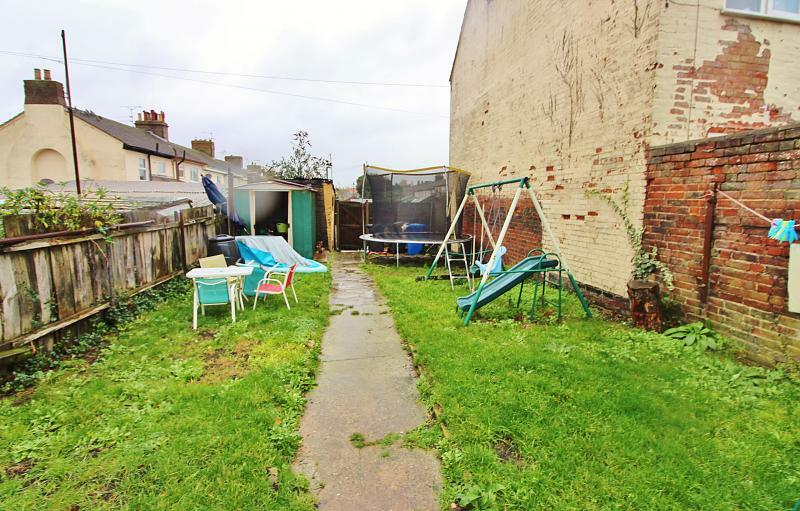 To the front there is a low-level brick wall screen and concrete patio with matching stair pathway to attractive and original tiled pathway to front door and wooden gate to rear. 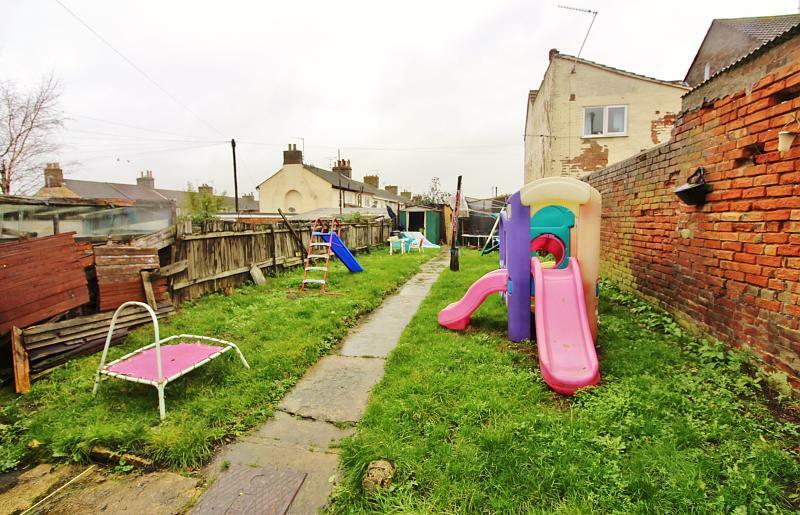 To the rear there is a great size garden with concrete patio area, laid to lawn, flower and shrub borders and the potential to insert off-road parking if required. The rear garden is all enclosed by fence panel and brick wall screen.